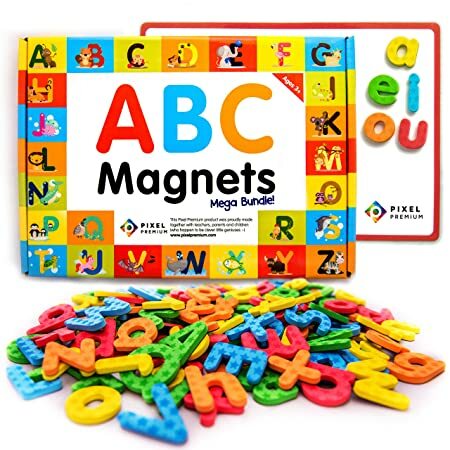 Today, August 12th only, go to Amazon to get this highly rated Pixel Premium ABC Magnets for Kids Gift Set for only $15.99. This set was designed by parents and teachers and includes 142 magnetic letters, an ultra-light magnetic whiteboard and more than 40 learning games in the “Amazing ABC” educational e-Book ($19.99 value) which can be used with iPads and tablets for interactive fun. It’s a great way to build vocabulary and improve spelling skills.